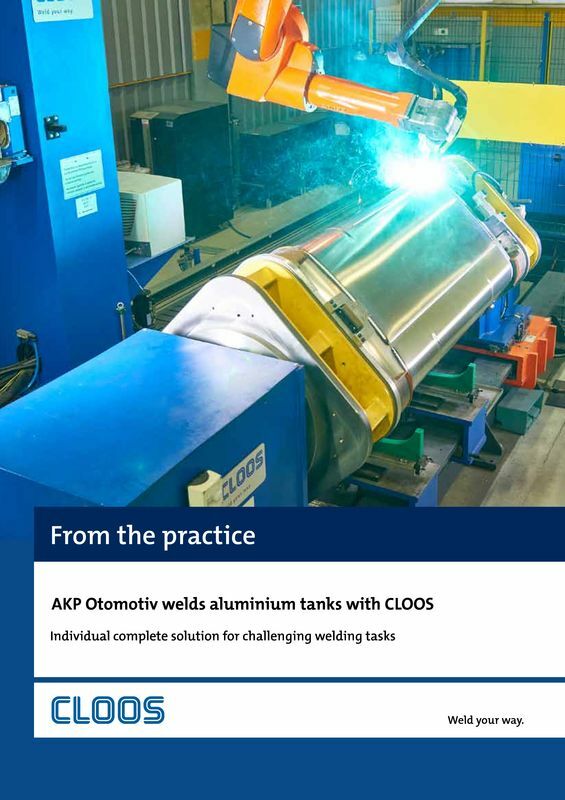 The Turkish company AKP Otomotiv relies on “Made in Germany” quality when welding aluminium tanks for HGVs. 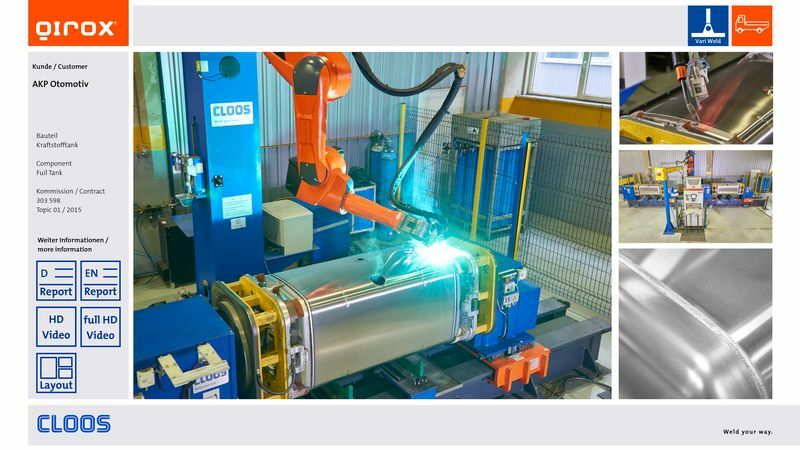 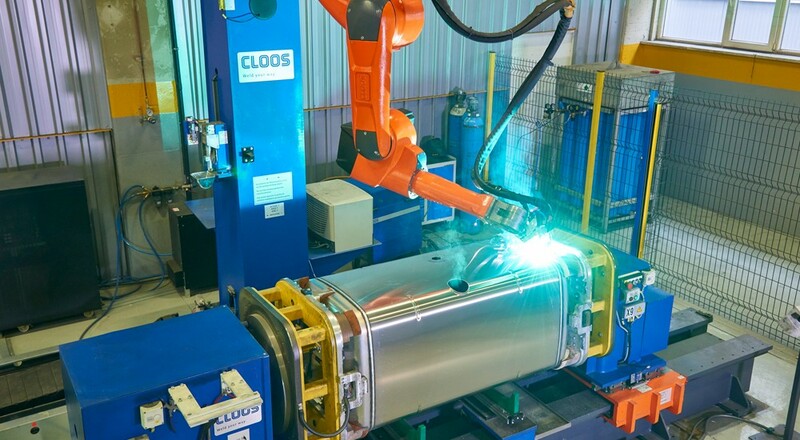 The two-station robot machine of Carl Cloos Schweisstechnik GmbH – fitted with the most modern welding technology – guarantees optimum welding results and maximum efficiency. 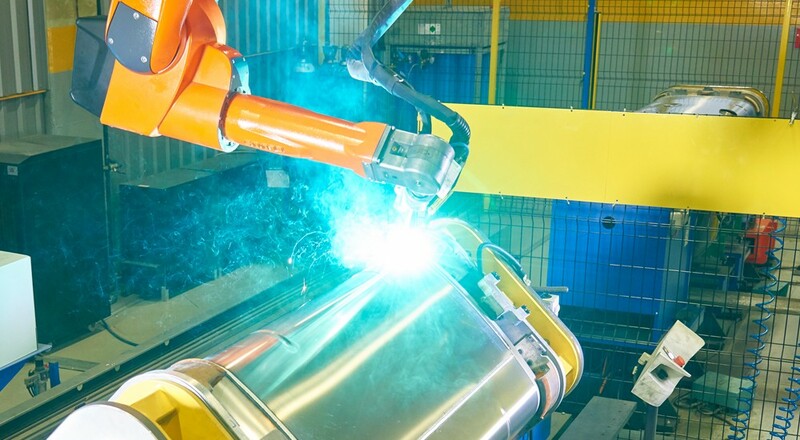 The QIROX QRC 350 robot welder is mounted overhead on a C-shaped frame. This position allows the robot better access to the workpiece. 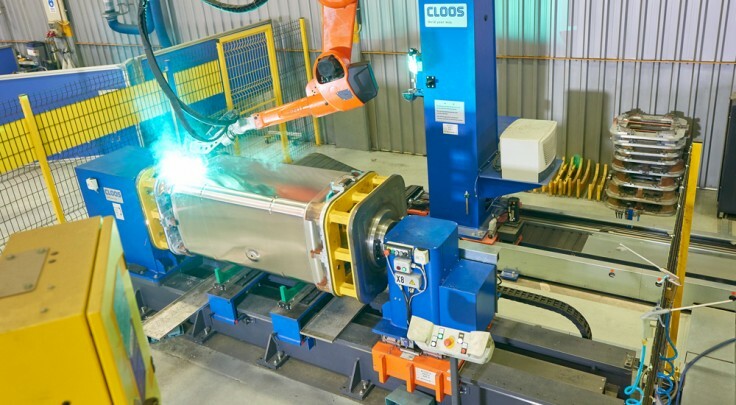 The C-frame is mounted on a floor-mounted linear track so that the robot can be moved horizontally and flexibly between the two stations. 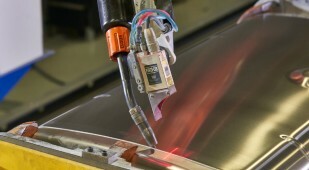 The CST Flex D laser online sensor carries out corrections immediately thus ensuring optimum welding results.